JAMES ROLLINS is a #1 New York Times bestselling author of international thrillers, translated into more than forty languages. His Sigma series has been lauded as one of the "top crowd pleasers" (New York Times) and one of the "hottest summer reads" (People Magazine). In each novel, acclaimed for its originality, Rollins unveils unseen worlds, scientific breakthroughs, and historical secrets--and he does it all at breakneck speed and with stunning insight. James Rollins is a LibraryThing Author, an author who lists their personal library on LibraryThing. James Rollins's book The Last Oracle was available from LibraryThing Early Reviewers. 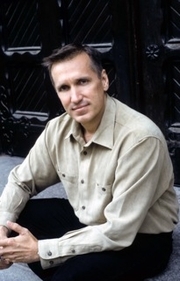 James Rollins is currently considered a "single author." If one or more works are by a distinct, homonymous authors, go ahead and split the author. James Rollins is composed of 6 names. You can examine and separate out names.